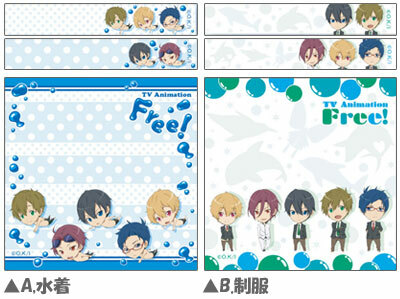 These Free! items will be available to ship around the end of October or November if I buy. If you're interested, please make your reservations. All can be ordered separately, so feel free to preorder as many as you like. 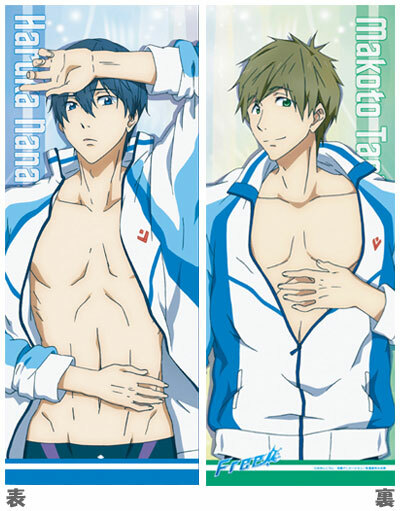 The first item is a long cushion, 20x50cm or 8"x20", the front has Haruka and the back has Makoto. Each will be $60. 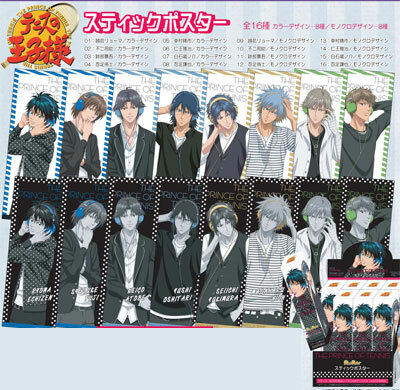 Next are two sticky notepads, A set has the boys swimming in their swimsuits, B set has the boys in their school uniform. Each set will be $14. Third are the drinking glasses. Each glass is 12.5cm/5" tall with a diameter of 6.5cm/2.75". Glass A has the boys in their school uniform with their respective animal symbol. Glass B has the boys swimming in their swimsuits =) Each glass will be $35. 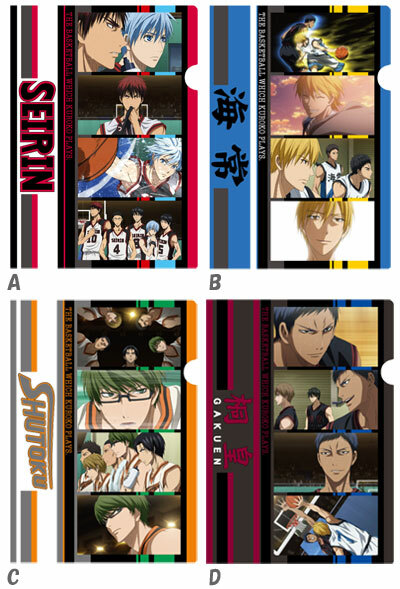 Normally I don't take preorders for clear files, but I will for these KuroBasu ones (and below UtaPuri ones too)~ Each file will be $15. 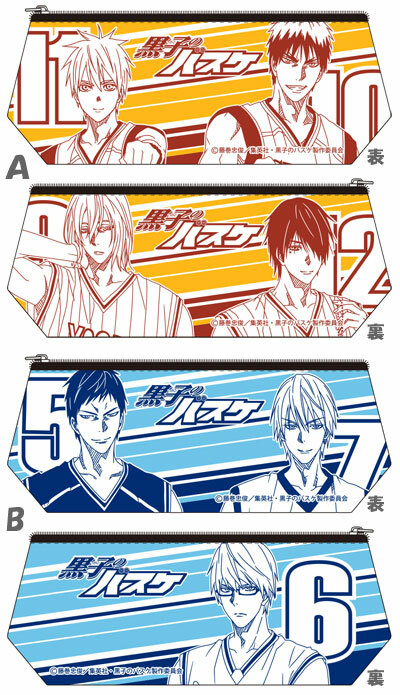 These KuroBasu Pencil Pouches are of size 9.5x24cm or 3.75"x9.5". 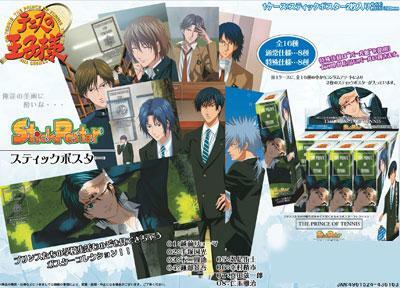 Pouch A has Kuroko/Kagami on one side and Murasakibara/Akashi on the other side. 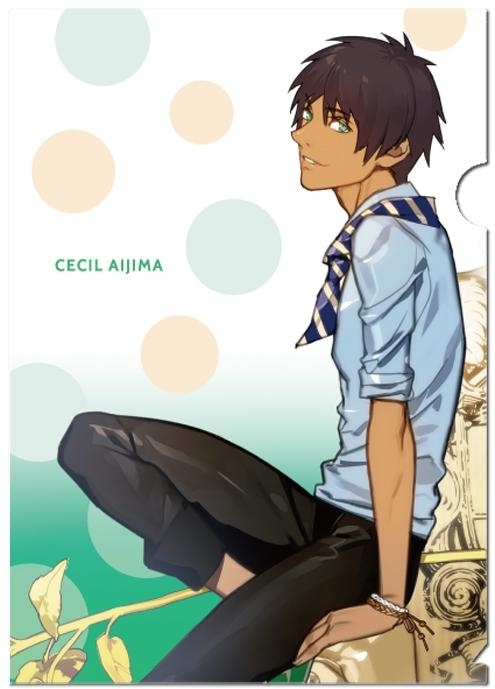 Pouch B has Aomine/Kise on one side and Midorima on the other side. Each pouch will be $25. All can be ordered separately so feel free to preorder as many as you like. These metal bookmarks are about 5.5cm or 2.25" in diameter. 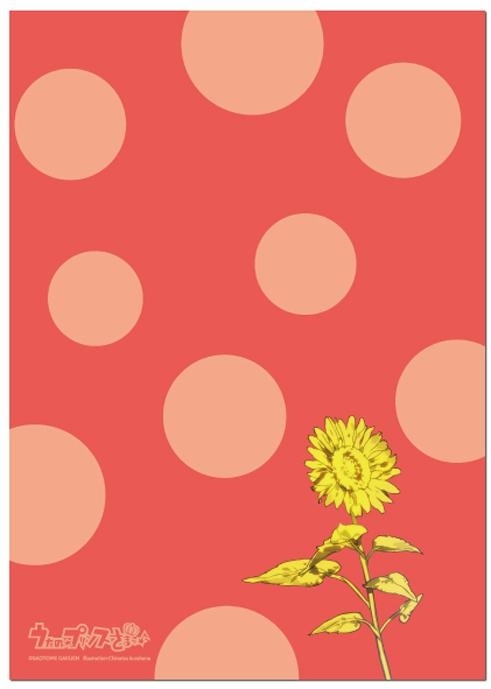 They are made of high quality zinc alloy~ Each metal bookmark will be $13. This comes in a set, so if I have more than 6 characters requested then I will order a set. 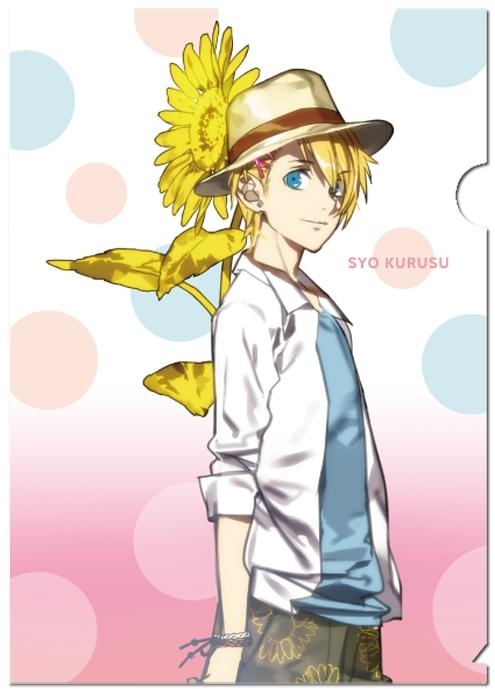 In light of the coming Karakore of the boys with headphones, the stick posters of the same artwork is being re-released. There are two versions, one with color, and one in monochrome. Just as well the first stick poster series, the boys in school, and the third stick poster series of the boys in the rain are being released again too. These have a special shiny pearl version, and a normal version. All three series come in boxsets, so if I get more than 8 characters reserved from each series, I will buy the boxset~ Each poster is $10. 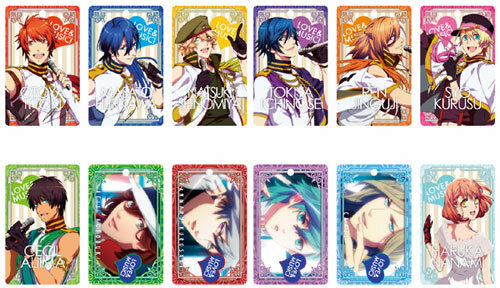 There are a few things for Utapuri that I'm willing to buy for preorder. Again, I normally don't take preorders for clear files, but they are nice and I wanna make sure I buy the amount that people want so I'm taking preorders this time. Each clear file is $15. These can be ordered separately, so feel free to preorder as many as you like. 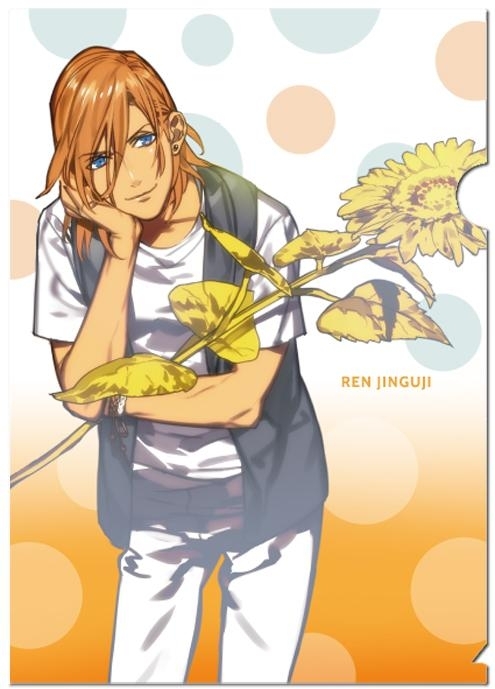 Hi Linna-chan, I would like to have Hakuouki both Saito metal bookmark and UtaPuri Ren metal plate. 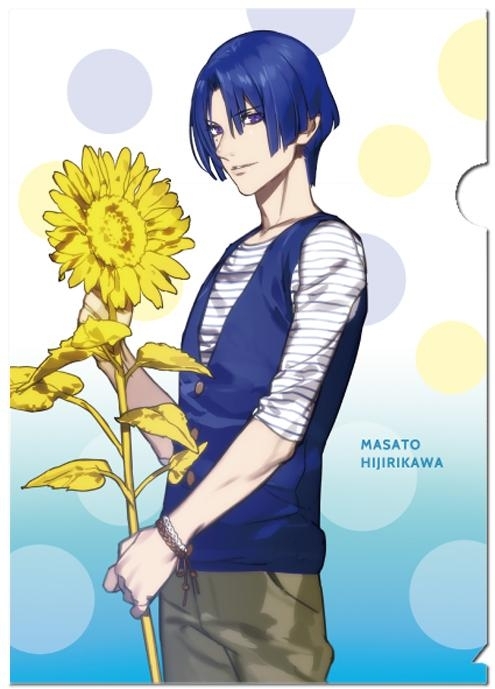 Hi ^^ I'd like to have Masato's clear file, please. OMG THEY RE-RELEASED THE SCHOOL POSTERS THAT I MISSED!!!!! 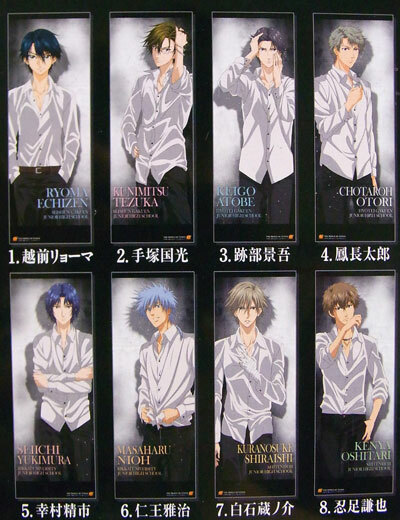 I would like the SP v.1 normal Atobe, Oshitari, and Yukimura ones. Let me know if you don't get enough interest - it might be cheaper for me to buy the whole boxset on CDJapan because I do like all of the other posters too. And I'm interested in SP v .2 - Colored Oshitari in case that gets ordered. I already have three out of the SP v.3s. Kenya looks great in that set <3 I wished I had gotten Ootori back then though. By re-release I mean only Movic is re-releasing, they don't actually resell them on any other websites, even Animate. If you want to wait and see if the other stores decide to pick them up again, you're more than welcome to wait =) They are available to buy now from Movic, so the only problem with waiting is that they might be sold out again. The reason I might not get them until October or November because I am buying some other things releasing in October as well. Let me know if you wanna reserve more ^___^ You still have Sanada on hold from my sales. If that cushion had been Haruka and Rin, then I would just cry since I doubt I would have enough room for them anyway. ;n; But alas, I'll settle with those swimsuit sticky notes! And those stick posters. 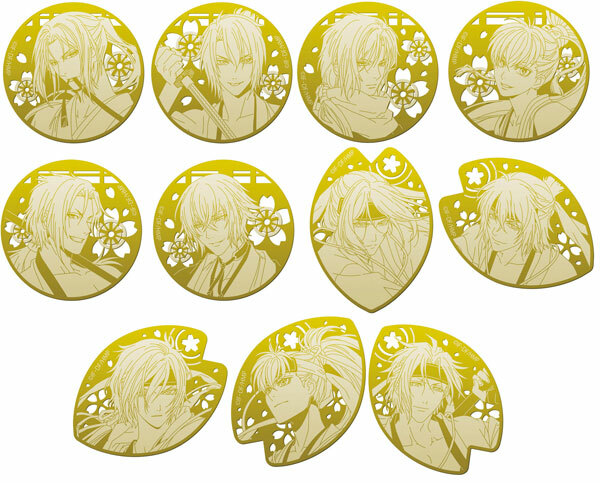 ;A; If you do order them, then a shiny Niou has appeared! lol from v.1 and v.3 and a color Niou from v.2 please! Those clear files...I'll get back to you on that! 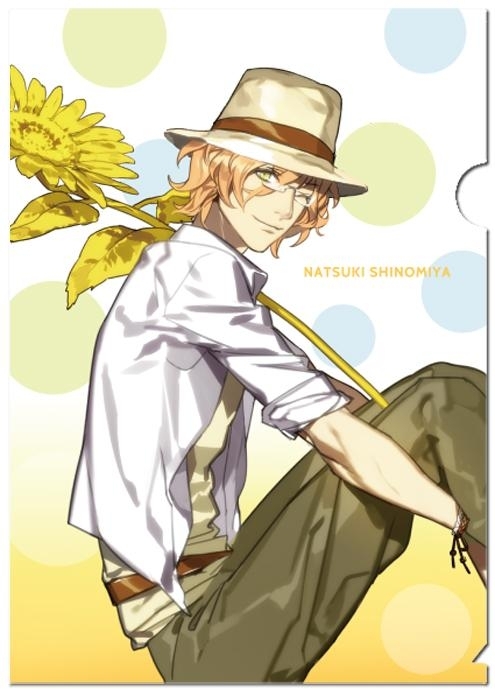 Hello, I would like to order the Utapuri Sunflower CF - Otoya file. ^^ May I know what the shipping to Malaysia is like for a file or 2. I can put you down, but I haven't purchased any yet because there hasn't been enough interest for these. headphone atobe coloured normal ver if possible, if not, shiny would do :)! Hi Nia, the headphones stick poster only come in colored or monochrome (black&white). The colored Atobe one is already reserved by another member, there's still the monochrome version available. If you want that monochrome one then I can put you down for him. 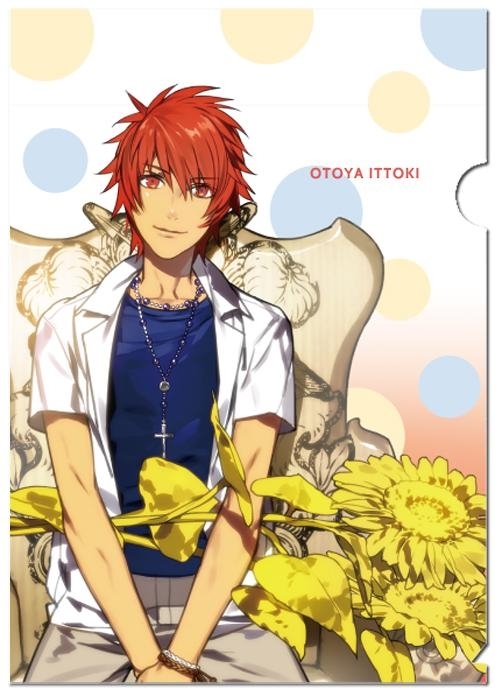 Can you order the Otoya sunflower file for me? Would this come before December? 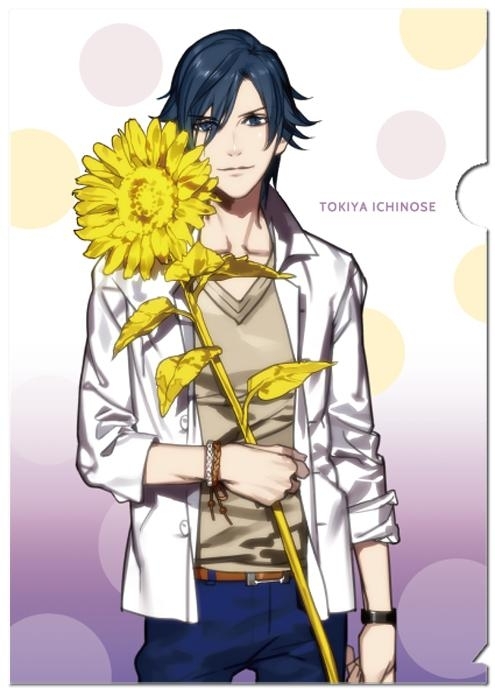 If yes can I order Tokiya as well? If not then it's ok.I'll just take Otoya.